Christmas Sampler and a jelly challenge…. Well after finishing my last subject at uni I’m back doing my quilt. I’m very behind with this one. I also have some other projects to complete but it has made it a challenge to get some of them finished while balancing other commitments. But you know the feeling – start a project and see another project and then start it. I’m trying hard to get my projects finished. 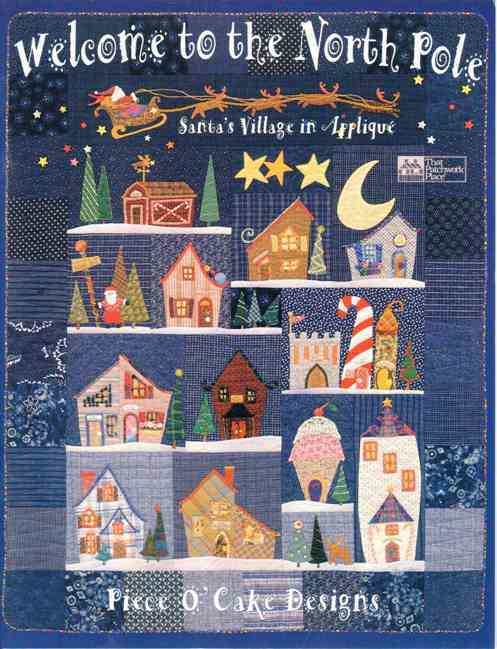 I love this sampler but didn’t realise how much thread I have had to use. Gee I hope I don’t have to buy anymore. Well this only means back on to the next block and try not to be tempted to start another. My youngest child had been nagging me to start her a quilt. So as is the way she pulled out my GOOD sewing machine and commenced making her own quilt. I only had to thread the machine and talk her through some of the problems. 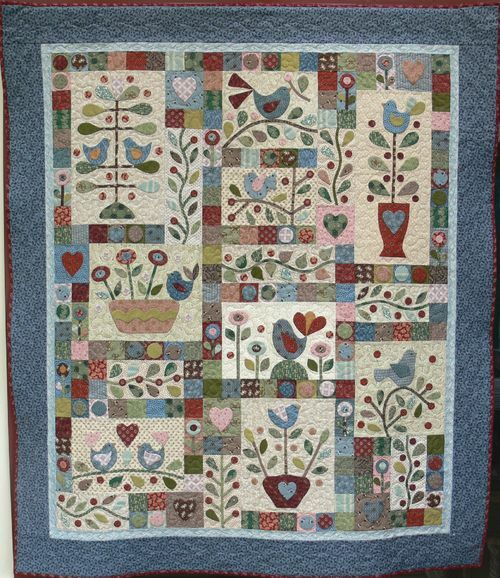 She completed this quilt using the range Tickerlish which she was very happy with. 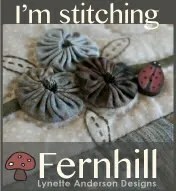 We’ve started to doing the backing – my job was to cut the fabric. 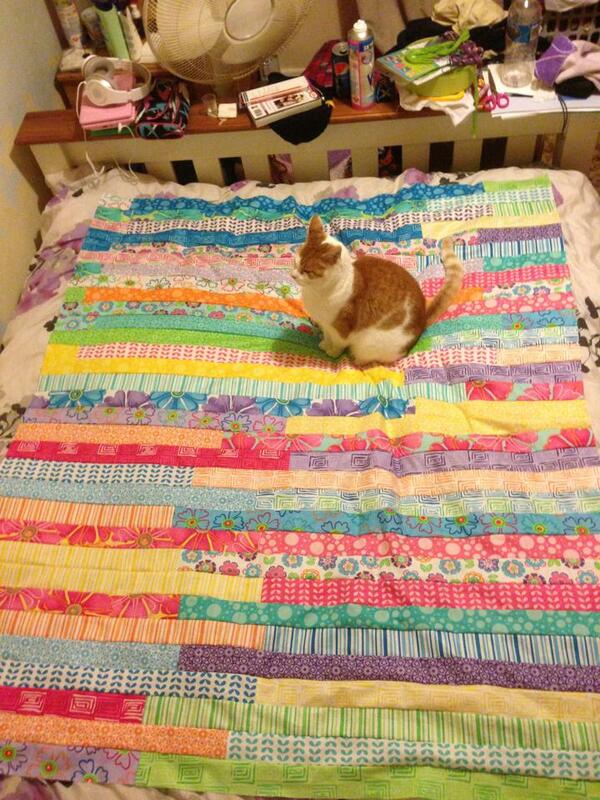 We created a number of 6 1/2 inch squares which she sewed together and she has almost finished it. 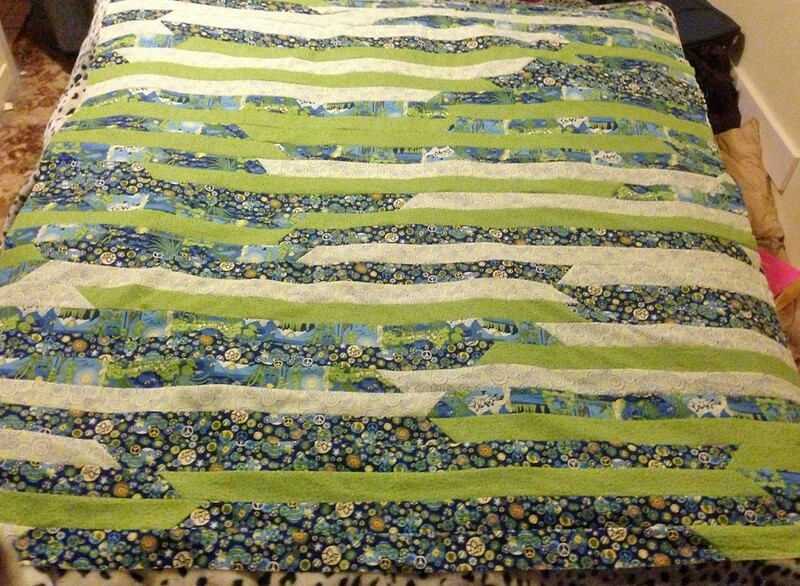 Next the binding (I’ll have to cut that again and stitch it up) and then its finished. So then son asked about his quilt. As a started to stitch I felt it would take forever. It took me over 1 1/2 hours just to do two rows!!!! I don’t know the name of this range but it only had 4 fabric so we repeated through out. Turned out to be cover my entire Queen size bed. Now my other daughter was one – I have to look for the range Sakura Park….never ending story. 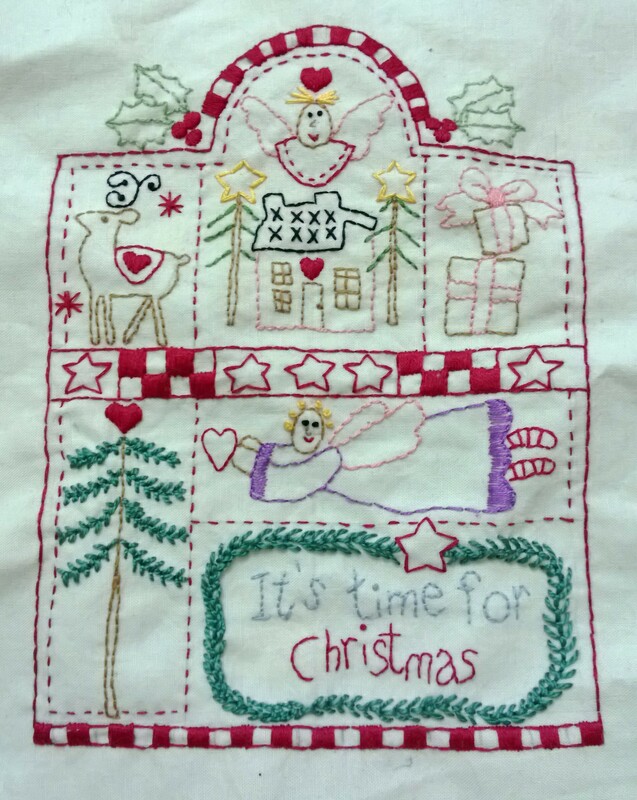 This entry was posted in BOM, Bronwyn Hayes, Christmas Quilt, Homespun, It's Time For Christmas, Jelly Roll Race, Sewing Machine, singer sewing machine and tagged BOM, Browyn Hayes, Christmas quilt, Its Christmas Time, Jelly Roll, Quilt, sewing machine. Bookmark the permalink.